In the last few months I have come across a lot of problem cases regarding the husbandry and correct treatment of Marmoset Monkeys. It is a bit out of the norm to keep a monkey as a pet but some people in Macau do keep them. I hope this info helps and get to some of the owners we have not seen yet. Marmoset monkeys are susceptible to wasting syndrome, a bodily invasion of the pancreatic worm Trichospirura leptostoma, which is transmitted through the household cockroach. For this reason, household sanitation is extremely important and cockroaches should never be fed to marmoset monkeys as a protein food source. 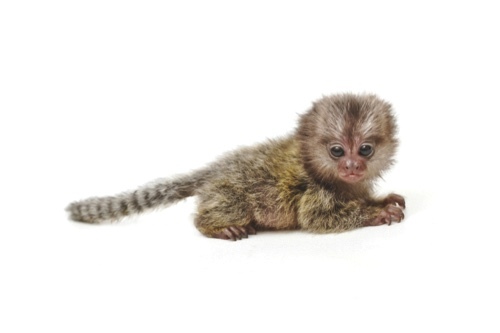 Infection causes the marmoset’s pancreas to malfunction, leading to malnutrition, diarrhea and dehydration. The most common symptoms of infection include chronic diarrhea, weight loss, hair loss at the base of the tail and paralysis of the hind legs. The herpes simplex virus 1, which causes cold sores in humans, is easily transmitted and extremely dangerous to marmoset monkeys. More than 80 percent of humans are carriers of the virus, even though they may never exhibit any symptoms. The dormant herpes simplex virus resides in the trigeminal nerve, one of the many facial nerves. When dormant, this virus can shed from carrier humans through the saliva, particularly if the person is stressed or ill. Marmosets contract herpes simplex 1 through contact with saliva. As a precautionary measure, never allow your marmoset to kiss anyone, including you, on the mouth, never feed them from your mouth or allow them to have an object that has been in contact with your mouth, and avoid all contact with your marmoset if you are ill or have fever blisters. 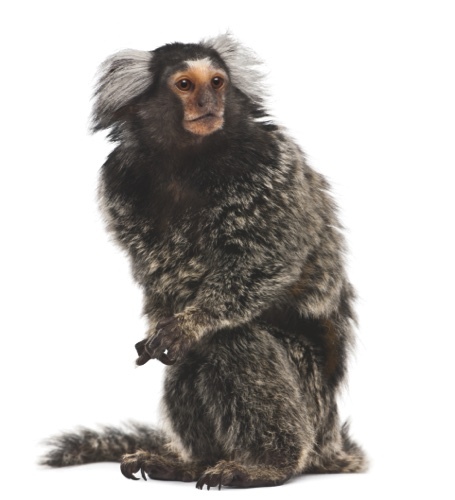 Symptoms of the herpes infection in marmosets include a decrease in appetite, lethargy, diarrhea and a high fever. As it worsens you may see red or swollen lips, blisters or lesions on the tongue, gums or in the mouth, a droopy face and inability to blink and seizures. This mouthful of a disease, also known as LCMV, has occurred in captive marmosets both in private homes and in zoos. The primary carrier for the lymphocytic choriomeningitis virus is the common house mouse, although mice can transfer the disease to rats, hamsters, gerbils and guinea pigs. Captive marmosets are at higher risk due to increased chance of exposure to urine, feces, saliva or bedding materials of house mice. Once infected, symptoms include shortness of breath, loss of appetite, extreme lethargy and jaundice – the yellowing of skin and eyes.